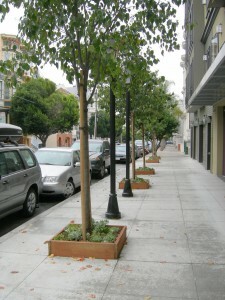 This entry was posted by orie on September 30, 2011 at 4:28 am, and is filed under Urban greening. Follow any responses to this post through RSS 2.0.You can leave a response or trackback from your own site. great piece! i think this is exactly what urban environmental groups should focus on…the added value of green space to property values. almost anyone would prefer a tree-lined street to one with barren concrete.